The term Fixed Equipment refers to that equipment which remains in a permanent location. For example, base stations and repeaters would be considered fixed equipment. The main objective of this module is to keep a record of all fixed equipment located at a particular site. 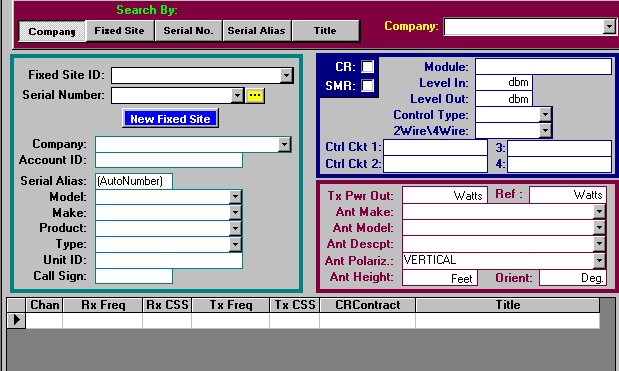 There are also "Map" and "Notes" pop-ups to help the technician locate the fixed equipment.